I am heavily using the function "New from Clipboard" ("ctrl + alt + n"). 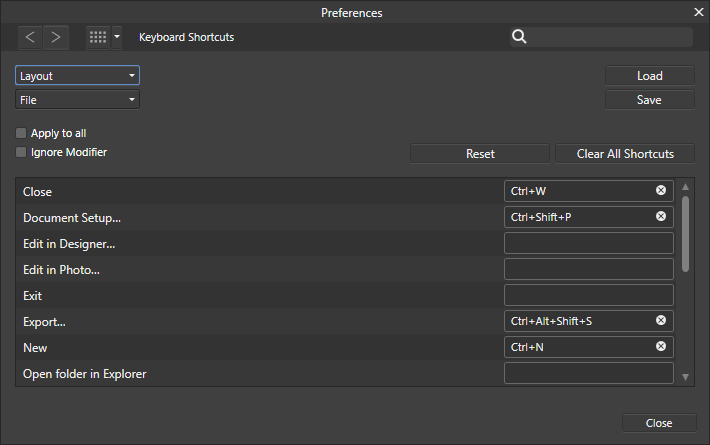 Now I have not seen it anymore in Publisher in the menu and not in the settings for keyboard shortcuts under file. But it is still working with the shortcut, so I hope it will not get removed completely and is just currently missing and will "come back"? For me the shortcut would still be enough as I only use the shortcut, but I really love that in all programs. So please don't remove it. I didn't see your first post. I am just guessing but to me a 'New from Clipboard' does make sense in a photo application like APh and perhaps in AD, too. But I am not sure how this should work in APub? The basic setup of a APub file is rather complex with bleeds and margins if needed. How should this work with e.g. text from a MS Word file? How do you imagine that this should work? I'm asking out of curiousity. I don't see File > New from Clipboard on the menu, and the usual shortcut doesn't work either. I agree with dominik that having it in Publisher would seem odd, given all the information that needs to be specified for a new Publisher document. Maybe you copy objects and want to paste it as new publisher document. This may be a scenario. But I'd rather do it a bit different. As it was mentioned somewhere else in this forum a 'New document from page' or 'New document from selection' would be more precise that we can turn APub content into a new APub document. I assume that a snapshot feature could also have this (as does AD). But I do not know if snapshots will be available in APub at all.